The sustained growth that Climatecoin has been experiencing since its launch last December was confirmed last week. In just six months we have become a reference for the new climate markets, invited by the UNFCCC Climate Chain Coalition together with Solarcoin as the only cryptocurrencies with a social, environmental and economic impact. We were the first Crypto Carbon Neutral entity. We evolved our entire ecosystem launching a new corporate identity, Whitepaper, web and corporate video in English, Spanish and Korean. We made the first purchases of carbon credits. We finalized the development of our ClimatePay payment platform and launched the initial version of the Climatecoin Wallet for both Android and iOS; in addition to fully designing all the user experience of ClimateTrade and start the blockchain technological development. As a result of this work, we have added new and recognized members to the advisory board of Climatecoin such as Mr Juan Verde, former adviser to Barack Obama or Mr Hannan Ismail, deputy to the former Secretary General of the United Nations. And most importantly, we exceeded the one million dollar figure invested by any single individual as an impact investor. This confirms that little by little our vision is a reality and the most visionary investors come forward and take advantage of the carbon markets. The Climatecoin team had to split this week to attend the participation in world-class events in Asia (Seoul) and Europe (Madrid). 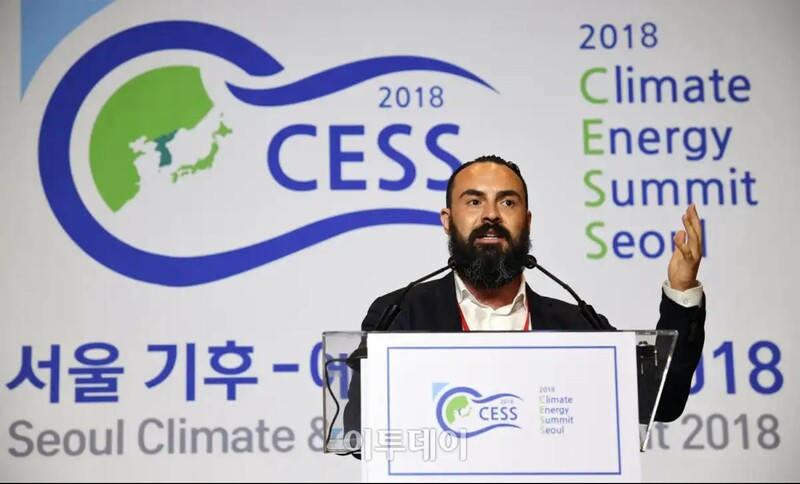 In Seoul, we were invited by the Government to the Seoul Climate and Energy Summit (CESS), the most relevant event in South Korea for the transition to a low carbon society, showing global blockchain success stories. We held numerous government meetings with five Ministers of the Government of Korea. In addition to the Presidential Commission for the Fourth Revolution and the Metropolitan Government of Seoul. On the corporate side, we met with leading companies such as Bloomberg, World Energy Council, Solarcoin, Korea Telecom, PWC and KEPCO, with which some pilot tests and collaborations were advanced. It is wonderful to see that our work is followed with enthusiasm in Asia and we are fully convinced that due to its culture of respect, South Korea will be a leader in mitigating climate change very soon. Climatecoin has joined a coordinator in the region to consolidate the important relationships that emerged from the event. Do not hesitate to contact us to promote alliances. During his speech at the Summit, Francisco, President of Climatecoin, made special emphasis on the need to add citizens to the mitigation of climate change. “I’m really worried and I think that many entrepreneurs and investors are also worried, we have a huge opportunity to conserve our planet while creating a positive impact and economic benefit, if we do not, we will put our families in danger,” said. 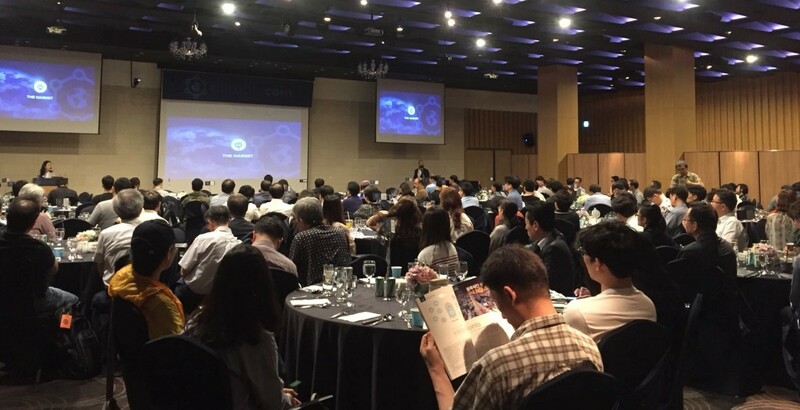 More than 250 Korean investors attended the private presentation of Climatecoin, interested in its rapid growth in the country. Taking advantage of Climatecoin’s assistance at the Seoul Climate and Energy Summit (CESS), and encouraged by our first investors in the country, we decided to organize a private presentation for the crypto and blockchain movement in Korea by invitation. The expectations were exceeded with the attendance of more than 250 participants. It was an incredible experience to witness so many people attending the presentation — some even had to stand — and how the public was participating, asking more than 30 questions. The objective was to show everyone that it is possible to contribute to the mitigation of climate change and obtain an economic benefit through the creation of a technological infrastructure that connects investors, who have bought carbon credits thanks to the CO2 token, with the corporations that compensate their emissions buying those same carbon credits. This allows Climatecoin’s token holders to receive additional income directly from the revaluation of the price of carbon credits. And the same day, in Madrid, we participated in the Summit of Technological Innovation and Circular Economy with the intervention of the ex-President Barack Obama. 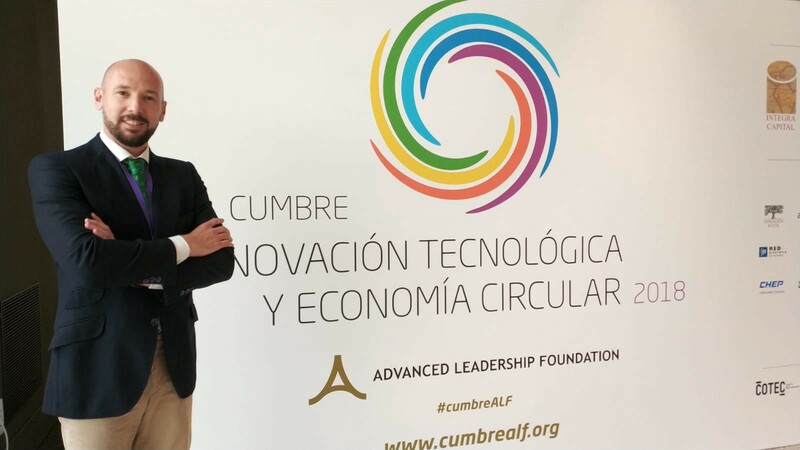 The Summit of Technological Innovation and Circular Economy organized by Mr Juan Verde, Senior Advisor of Climatecoin, is committed to a model that breaks with the linear model of “produce, consume and throw” and promotes the involvement of civil society for the resolution of environmental problems. Climatecoin fully supports the opportunity of citizens in the new economy and participated in the event with companies such as Microsoft, Air Europa, Telefónica or Suez. The event was attended by Juan Boluda, COO of Climatecoin. The list of speakers was formed by former President Barack Obama and the winners of the Nobel Prize in Economics, Sir Christopher A. Pissarides, Finn Kydland, Nobel Prize in Physics, Barry Barish, Nobel Prize in Medicine and Erwin Neher, Nobel Prize peace. We were able to talk to all of them about the potential of Climatecoin, giving all of them their first CO2 tokens to offset their emissions from the trip.